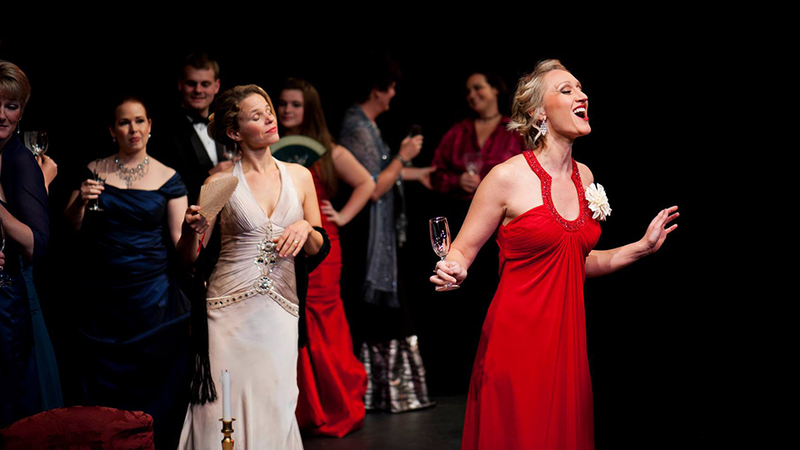 OperaBend is a small, regional opera theatre company in Central Oregon’s high desert. In partnership with Central Oregon Community College, it presents two full length opera productions with orchestra each year in multiple small regional communities. Drawing from the rich repertoire of grand opera, operetta and American Broadway, the company employs singers from the community and the Pacific NW region as well as internationally recognized and MET opera singers. While small, they have not shied away from big productions, staging Puccini’s La Boheme, Bizet’s Carmen and The Secret Garden, to name a few. In partnership with Central Oregon Symphony and Casade Chorale, OperaBend is led by Co-Founder and Artistic Director Nancy Engebretson, who has enjoyed the past 35 years as a performer, teacher. director and producer of performing arts. Executive Director and Co-Founder Jason Stein holds degrees from NYU in acting and management. The other members of the production team are Director Michael Gesme , a Professor of Music at Central Oregon Community College and Chair of the Department of Fine Arts and Communication, Assistant Director Jonathan Moore and pianist Scott Michaelsen.